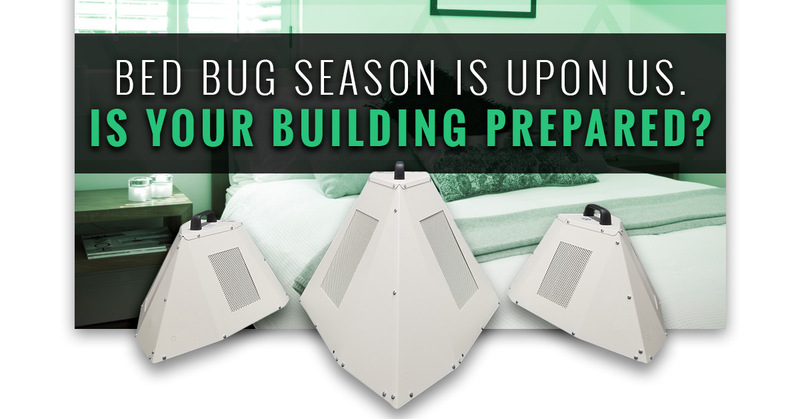 Commercial Bed Bug Heaters: Is Your Building Prepared For Bed Bug Season? The spring season is upon us, which means the heat of summer isn’t too far behind. That means the birds are chirping, the flowers are blooming, and the bed bugs are crawling. Wait — one of those things is not like the other, right? Unfortunately, it’s true. Peak bed bug season typically goes hand-in-hand with the warmer, more humid temperatures around the country. Many experts estimate that peak bed bug season runs from about May through June, largely because these are the months where the weather warms up and pests become more active. During the more wintery months, many insects tend to move slower and become less active. But as the temperatures begin to rise, so does their hunger. The changing weather isn’t the only factor, of course; it’s not like bed bugs are completely dormant and inactive during the winter and fall months. However, another reason why these pests seem to be more prevalent during the spring and summer is because that’s also when travel begins to pick up. Families from all over head to their favorite vacation destinations, and many of their temporary residencies (read: hotels) become hotspots for these hitchhiking pests. 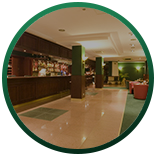 The unfortunate truth is that it doesn’t matter how clean or reputable your hotel, motel, or other hospitality facility may be. Bed bugs don’t discriminate, and they will seek out ways to latch on to whoever and whatever they find. With bed bug season upon us, it’s time you get your facility geared up and fully prepared. Before you go into panic mode and put a tent over the whole building, here are a few tips for avoiding and eliminating infestations during the upcoming months. Did you know your facility can take eradication into its own hands? That’s right. With our commercial bed bug heaters, your staff can become fully certified and equipped to kill these pesky pests in as quickly as one day. Compare that to the 2-3 day turnaround time of professional pest control companies — which often leave behind harmful chemicals while also bringing along a negative stigma with their noticeable vans and equipment — and it’s a no brainer. In fact, it’s a well-known fact that heat is the best and fastest way to get rid of bed bugs. This is due largely in part to the fact that bed bugs have developed ways to become resistant to chemical treatments, which can also be harmful for the inhabitants of your hotel rooms. With commercial bed bug heaters from Colorado Tri-Flo Systems, your facility gets all of the requisite training and equipment needed to perform a successful eradication in a matter of hours. How does it work? 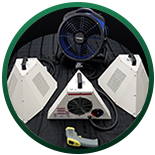 Our commercial bed bug heaters are designed to utilize the electricity right on site to generate ambient heat with a temperature of 135 degrees. It is at this temperature that bed bugs become lethargic, and ultimately die, no matter where in the room they are hiding. As a hotel or hospitality facility, you can own and operate your very own electric bed bug heaters without having to rely on pest control professionals, complicated certifications, or ineffective chemicals. You’ll save money by tackling bed bug season quicker, more effectively, and with discretion. A bed bug infestation can strike without a moment’s notice. 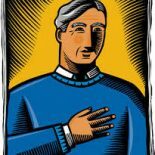 In order to prevent these infestations from spreading, each room should be thoroughly inspected by staff members before and after each guest leaves the room. Should a single bed bug be spotted, then it’s time to bring in the heavy machinery. With a commercial bed bug heater package, you can have the room bed bug-free in as little as 24 hours, allowing you to get that room back up and running without losing out on money. If you’re not comfortable with owning your own commercial bed bug heaters, then there’s nothing wrong with turning to the pros. However, it’s absolutely imperative that you find a company that you can trust to handle these bed bug eradications discretely and completely. Make sure your company of choice utilizes heat to kill bed bugs — and better yet, you should make sure they utilize our Eradi-Flo heaters for maximum efficiency. Take a look at some of our partners and contact Colorado Tri-Flo Systems today to ask about commercial bed bug heater rentals.